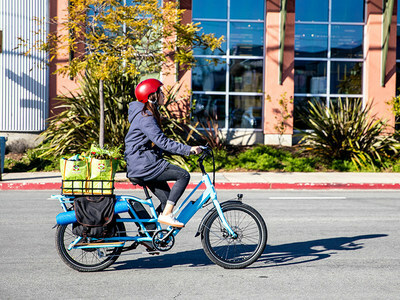 SANTA CRUZ, Calif., March 20, 2019 /PRNewswire/ -- Blix Electric Bikes plans to launch an Indiegogo campaign for their new bike model, the Packa, on March 26, 2019. Starting below $2,000, the Packa will be the most fully-featured, affordable electric cargo bike available. Shaped around the compact cargo concept, the Packa has a total length of 81 inches, comparable to the length of a regular bike. It has dual 24" wheels which provide a low center of gravity for easy handling. 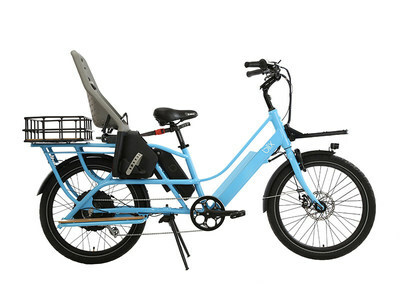 It also boasts one of the lowest step-through frames for a cargo bike, making it accessible to most riders and incredibly easy to get on and off the bike. "We looked to develop the perfect balance of convenience and rider friendliness with the Packa at an approachable price point," states Pontus Malmberg, Blix's founder and CEO. "Built for utility, it's alsoa bike that will bring the fun back to your everyday adventures. It features a uniquely designed multi-modular racking system that allows you customize for your cargo needs in over 200 ways." The Packa utilizes a 750-watt motor with dual battery capacity. The system smartly uses both batteries ensuring you never have to stop when one battery runs out. The bike can go up to 70 miles with both batteries and carry up to 200lbs of cargo. At time of purchase, you can select a single or dual battery option. The crowdfunding campaign goes live Tuesday, March 26, 2019. Further launch details, pricing and product specifications can be found on the Blix website, www.blixbike.com.